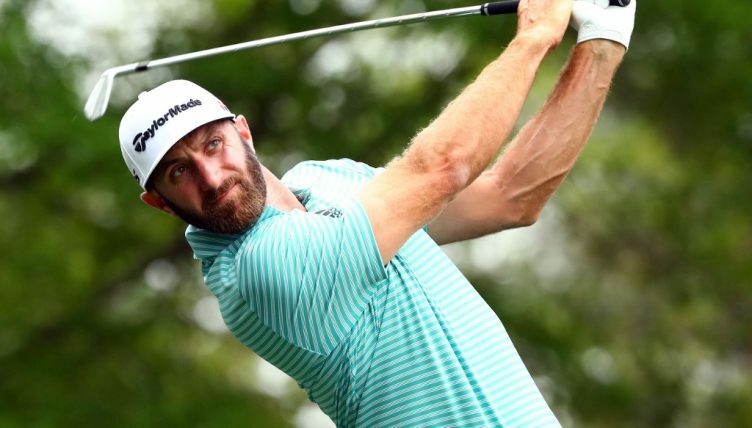 Dustin Johnson admits he finds it frustrating and disappointing to only have one major victory to his name, but is fully intent on changing that. The 34-year-old American, who was supplanted at the top of the world rankings by Justin Rose earlier this week, won his only major trophy at the 2016 US Open. He has six other top-five finishes in the majors, including runner-up showings at the 2011 British Open and 2015 US Open, but Johnson will know as well as anyone that no one remembers who finished second. Then there was the controversy at the 2010 PGA Championship when a penalty for grounding his club in a bunker on the 72nd hole spoiled his chances of a victory. “I would have definitely liked to have won a couple more. I’ve had some very good opportunities that I didn’t capitalize on,” Johnson told reporters at Augusta on Tuesday. Johnson headed into the 2017 Masters as the strong favourite after wins at Riviera and the WGC Match-Play and Mexico Championships, but a freak accident at his rental home on the eve of the tournament forced him to withdraw with an injured back. Johnson has identified his putting as key to his chances this week. As one of the longest drivers in the world, he knows he will need to combine his prodigious length off the tee with mastery of Augusta’s quick and undulating greens if he’s to have any chance of victory. Still, while Johnson admits he wants another major win, he’s quick to point out he doesn’t need one. “It’s more want. If you’re telling yourself you need to win, I think you’re putting a lot of pressure on yourself,” he added.